Body Tape® instantly and securely holds clothing in place. 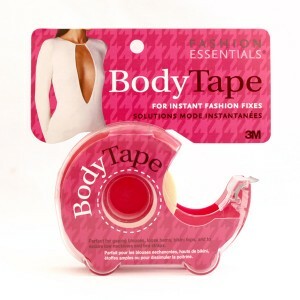 Use Body Tape® to hold necklines, halters, bikini tops, gaping blouses, instant seam repair, hemline repair, and more! Body Tape® is made with superior quality hypo-allergenic 3M Medical grade adhesive. Proudly made in Canada.